Jami is a current resident of Opelika, AL. She grew up in Tallassee, AL before relocating to Montgomery, AL where she attended Auburn University at Montgomery and majored in business. Jami began her professional career in banking before finding property management. She has over 13 years experience in the multi-family industry. This is where her love and passion for real estate first began. 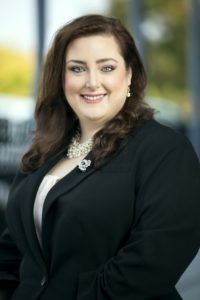 In 2016, Jami received her Alabama Real Estate license and began working with Toland Realty. Jami has a loving husband and step-daughter. She enjoys spending time with friends and family at the lake, interior decorating, playing the piano, and Auburn football. Jami has superior customer service skills and an excellent eye for the little details which will come in handy at closing time. Whether buying or renting, Jami is ready and excited to help you find your perfect dream home.